The Toronto Blue Jays continue to be busy on the trade front early in the season. On Tuesday, they became trade partners with the San Francisco Giants. 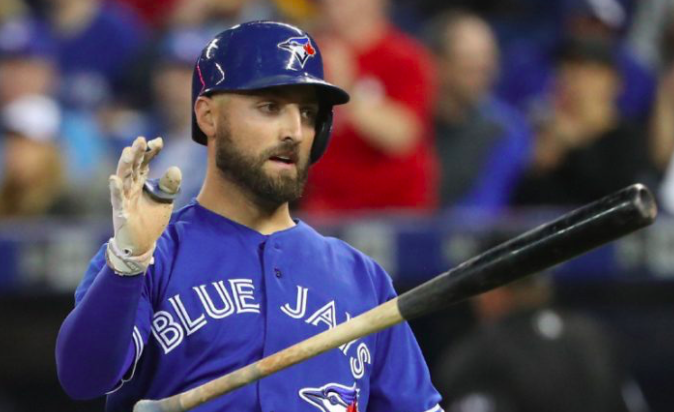 The Giants have acquired center fielder Kevin Pillar from Toronto. In exchange, the Blue Jays have received pitcher Derek Law, infielder Alen Hanson, and pitching prospect Juan De Paula. The 30-year-old Pillar has spent his entire career with the Blue Jays. During that time, he’s become one of the top defensive center fielders in baseball. Offensively, Pillar’s contributions have been less impressive. However, his power has come around lately, hitting a total of 31 home runs over the past two seasons. Nevertheless, he owns a career .692 OPS and was just 1 for 16 to start the 2019 campaign. Regardless of his offensive production, Pillar will cover plenty of ground defensively in the San Francisco outfield. He will serve as a right-handed platoon partner for Steven Duggar, who is beginning his first full season in the big leagues. The addition of Pillar also gives the Giants the option of moving Duggar to a corner outfield spot, at least part time. Early in the season, infielders Connor Joe and Yangervis Solarte have been covering left field for the Giants. Ultimately, the Giants are hoping prospect Chris Shaw can take over in left field before the end of the season. As for the Blue Jays, this trade comes on the heels of shipping Kendrys Morales to Oakland last week. That makes Pillar the second veteran they’ve traded away early in the season rather than waiting for the mid-season trade season. It’s another sign that the Blue Jays are in full-scale rebuilding mode and willing to do whatever it takes to get younger. Specifically, trading away Pillar will open up a spot in center field for Anthony Alford. The 24-year-old Alford has long been a promising prospect in Toronto’s farm system. But he’s been held back by injuries and has had limited opportunities in the big leagues. With Pillar out of the picture, there should be an opportunity for Alford after an encouraging spring. There may also be more at-bats for young outfielders Teoscar Hernandez and Billy McKinney. Of course, in terms of their return for trading Pillar, the Blue Jays didn’t get much outside of a little salary relief. Both Law and Hanson have been designated for assignment in the last few months. Law pitched well for the Giants in 2016 but has been hit hard in the majors ever since. Hanson could be a useful utility player, although that’s not exactly a position of need for the Blue Jays right now. To be fair, De Paula is a promising pitching prospect. But he’s not pitched above A-ball and is a couple of years from being on the major league radar. All things considered, this was another useful trade by Toronto. With or without Pillar, the Blue Jays are going to be a losing team this year. Trading Pillar saves them some money and opens up at-bats for younger players, much like last week’s trade involving Morales. Meanwhile, the Giants have added a much-needed outfielder who they coveted most of the winter. On the other hand, aside from providing excellent defense, Pillar doesn’t move the needle enough to make a major impact on their season.